A colourful, fashionable and original range of creative activities to make joyfully ! How relaxing DIY is, activities where everyone can let their imagination run wild... Through this collection of creative kits, Pirouette Cacahouète wishes to introduce an alternative to video games, game consoles, TV or PC screens, and give children the opportunity to spend time building and creating games with which they can use their imagination and go and make new adventures ! Creative Leisures There are 24 products. 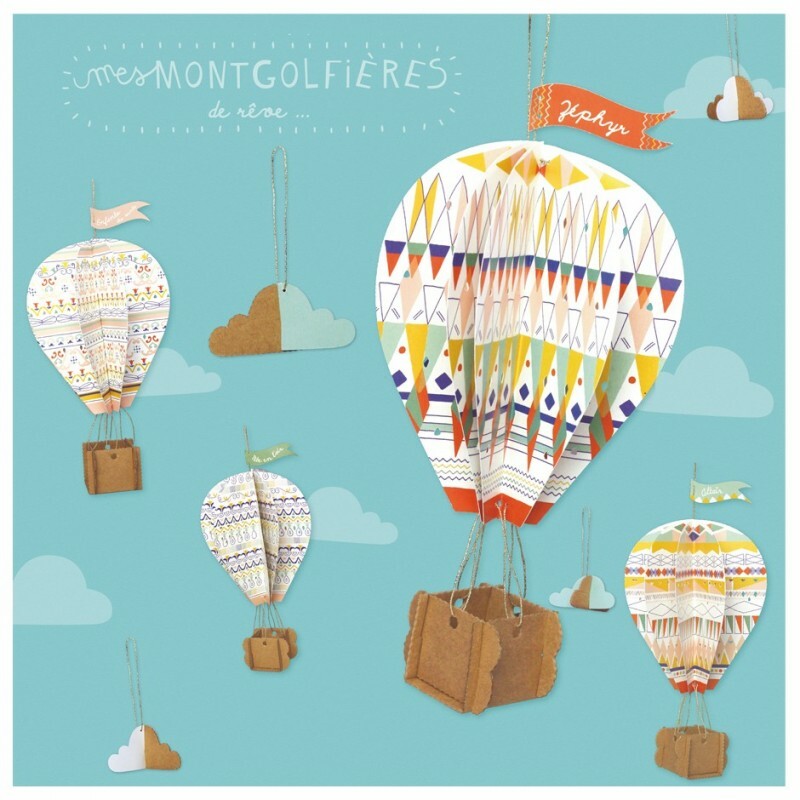 Pirouette Cacahouète introduces "my Hot-Air Balloon" ! Poetic creative activity:4 hot-air balloon and 4 clouds to be made and to suspend. 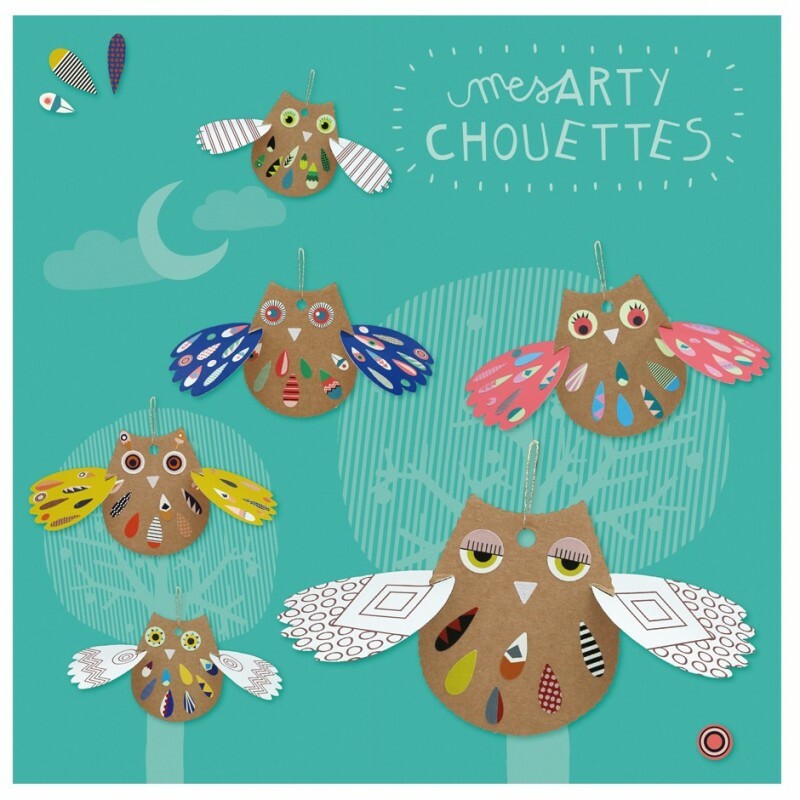 Pirouette Cacahouète presents "my arty Owls" ! A really cool, creative activity :6 card and paper owls to be created and decorated with the help of 228 included stickers. Hanging from a lovely golden thread, they look ready to take flight ! Pirouette Cacahouète presents "my Globe" ! 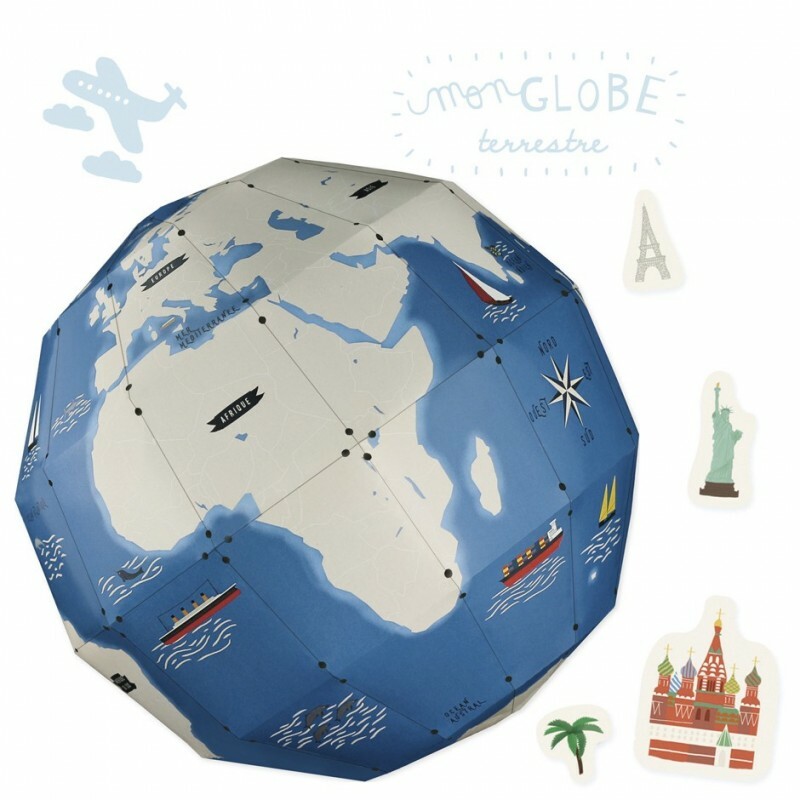 A creative activity for little curious minds or keen travellers.1 globe to be created and then decorated using 45 included stickers. Straightforward assembly for an impressive result : a planet to be discovered and admired, and how clever to have it in the palms of your hands ! 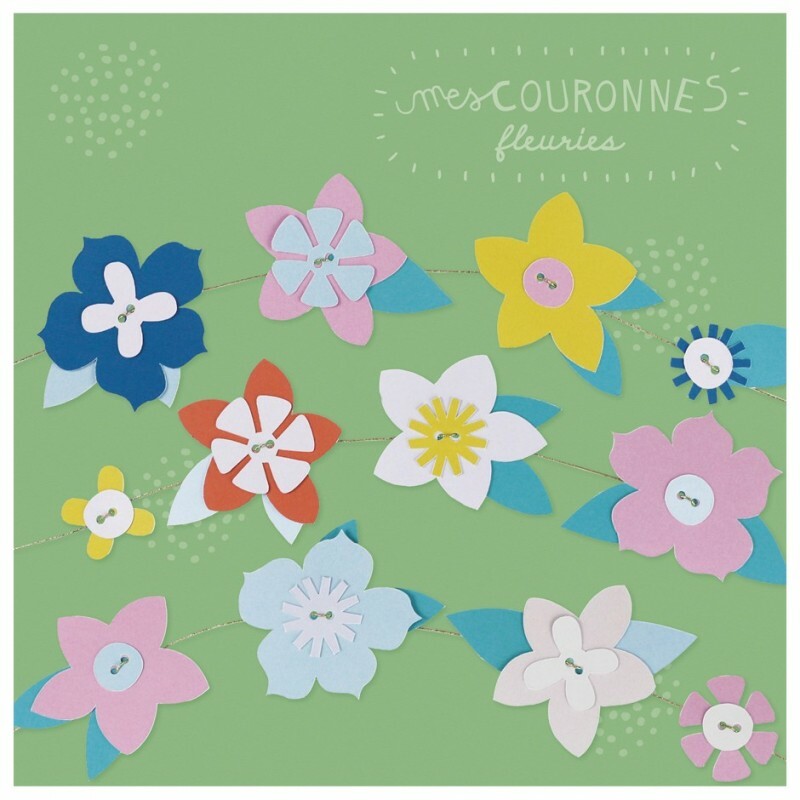 Pirouette Cacahouète introduces "my little Sailboats" ! A creative marine workshop :6 paper and cardboard sailing boats to colour and build. 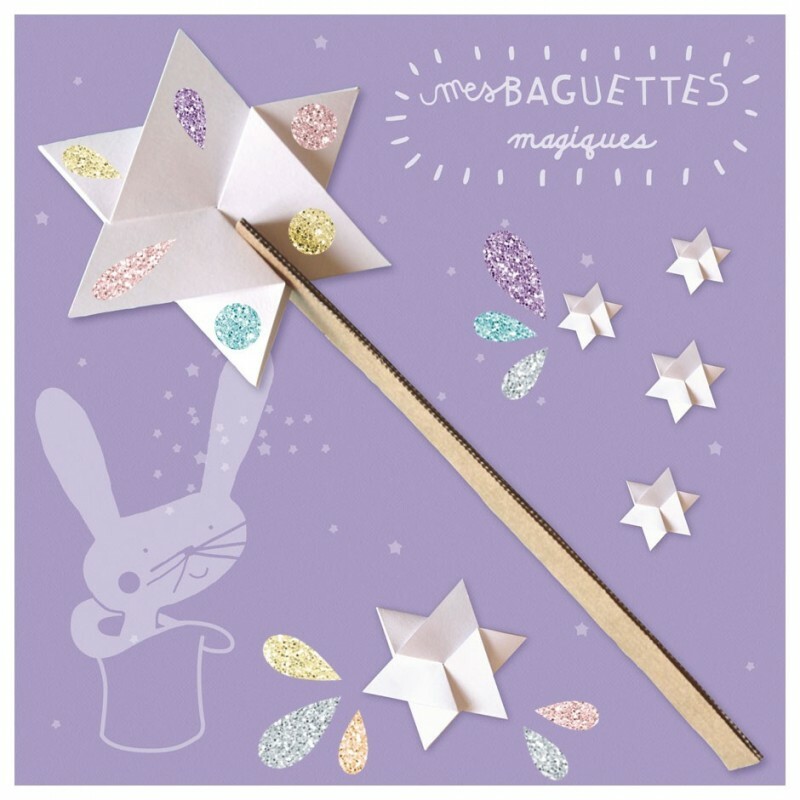 Pirouette Cacahouète introduces "my magic Wands" ! A magical activity :6 magic wands made out of recycled paper and cardboard to make and decorate with the 228 glittering stickers. Pirouette Cacahouète presents "my Unicorn Frames for colouring" A poetic creative workshop.4 papers with sketches to colour and fold, to make real little volume frames.To offer or expose above one’s bed, for a flight to the land of smooth dreams ! Pirouette Cacahouète presents "my Pirate Frames for colouring" A manual activity that gives life to the heroes of forgotten legends ! 4 portraits of renowned pirates to colour and frame by refolding the edges of the paper on themselves. To pin on one’s boat hold or just above the desk ! 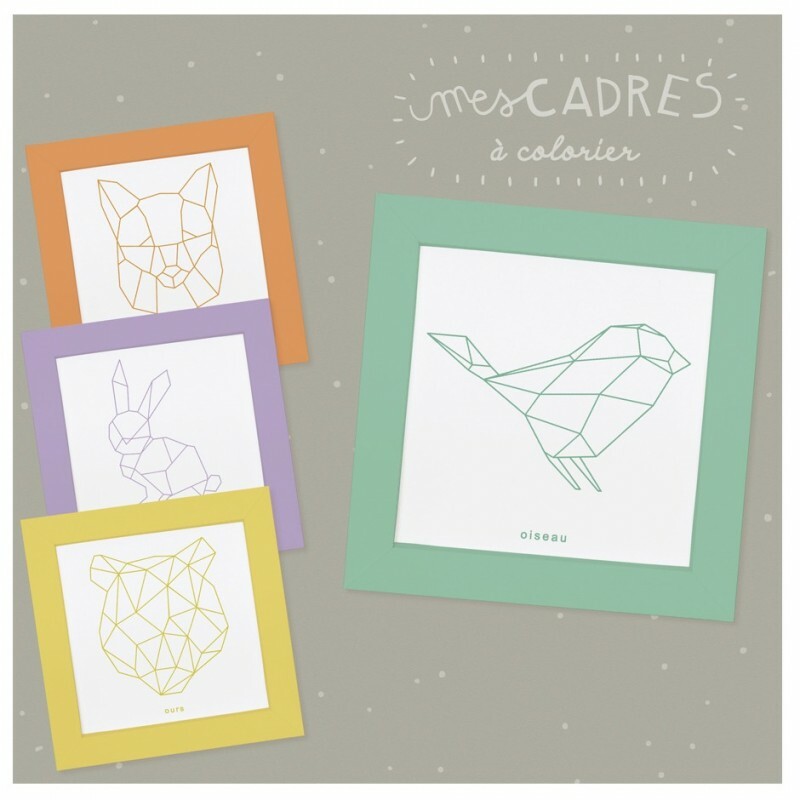 Pirouette Cacahouète presents "my Origami Animal Frames for colouring" Both a simple and creative colouring and folding activity !4 papers with geometric sketches for colouring and folding, to make real little volume frames.To offer as gifts or organise one’s first exhibition ! Make a way for the future artists ! Pirouette Cacahouète introduces "my Jet Planes" ! 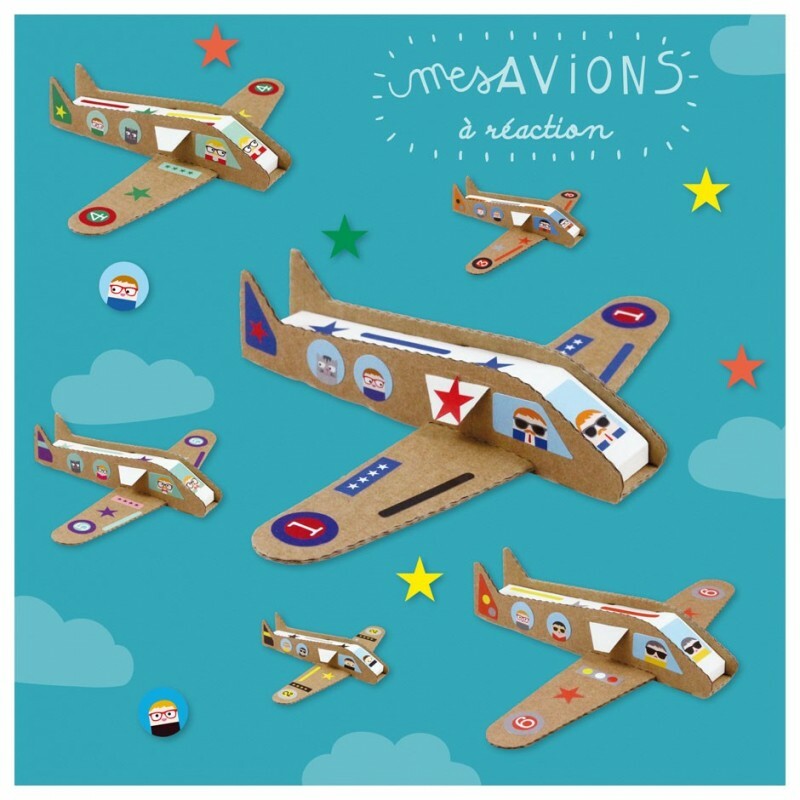 An up in the air creative activity:6 paper and cardboard planes to be made and decorated with the help of 120 coloured stickers. 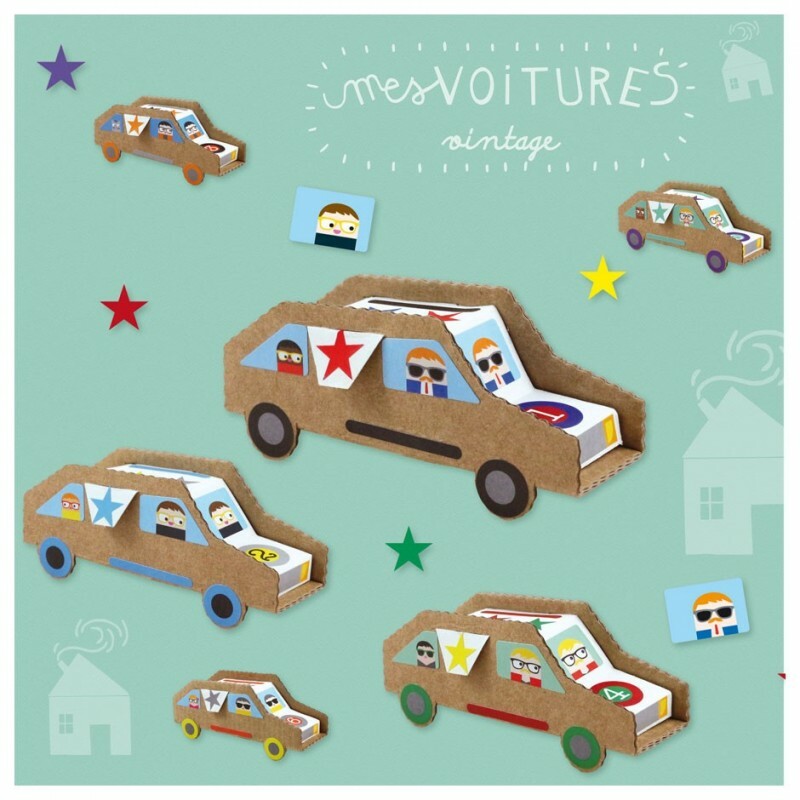 Pirouette Cacahouète introduces "my vintage Cars" ! A buzzing creative activity:6 paper and cardboard cars to build and decorate with 120 stickers, which are included. Pirouette Cacahouète presents "my extra-terrestrial Rockets" ! 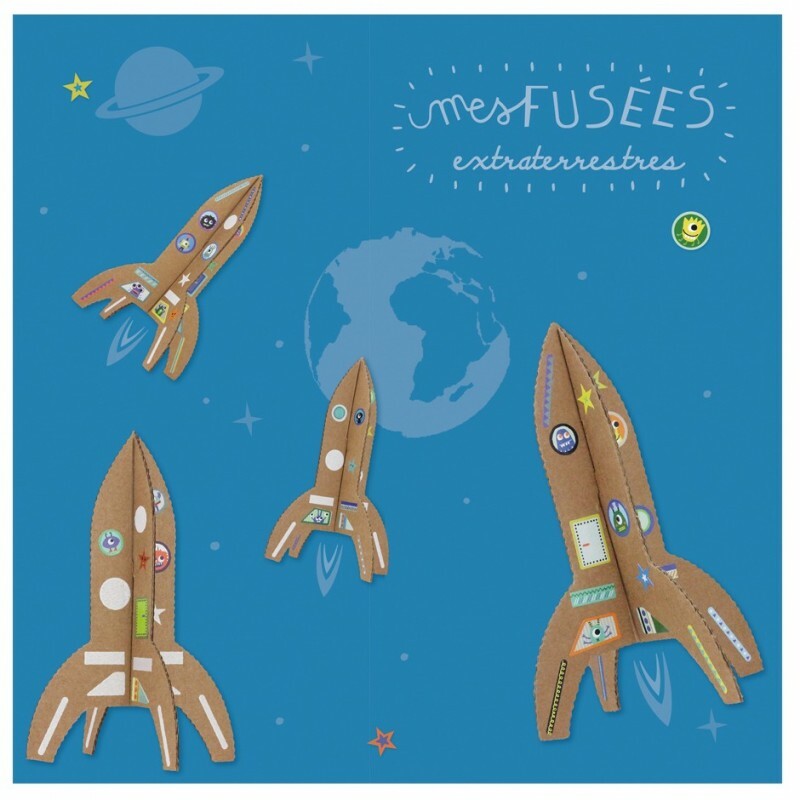 A creative, super-galactic workshop :4 card rockets to create and decorate with the help of 120 included stickers. Chart an intergalactic adventure for your assortment of little green, blue or pink aliens... each one funnier than the last !